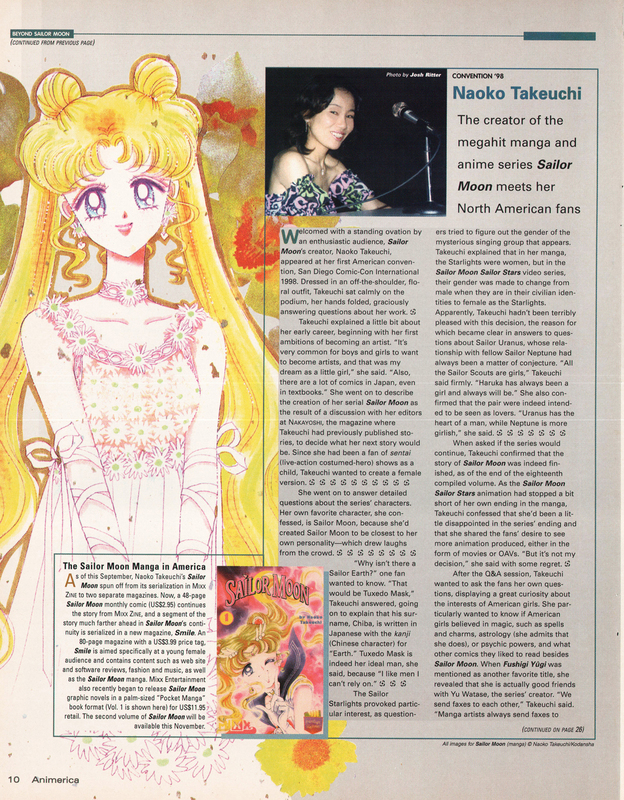 What Information Did Naoko Share With American Sailor Moon Fans? I am what you could reasonably call a longtime Sailor Moon fan — a “lifer” if you will. I was there when the series was taken off the air, came back on the air, and was taken off again. Yours truly remembers when “new” episodes of Sailor Moon meant the last part of the Sailor Moon R anime that DiC never bothered to get around to dubbing. And then there were the misguided Sailor Moon / Pop-Tarts campaigns. 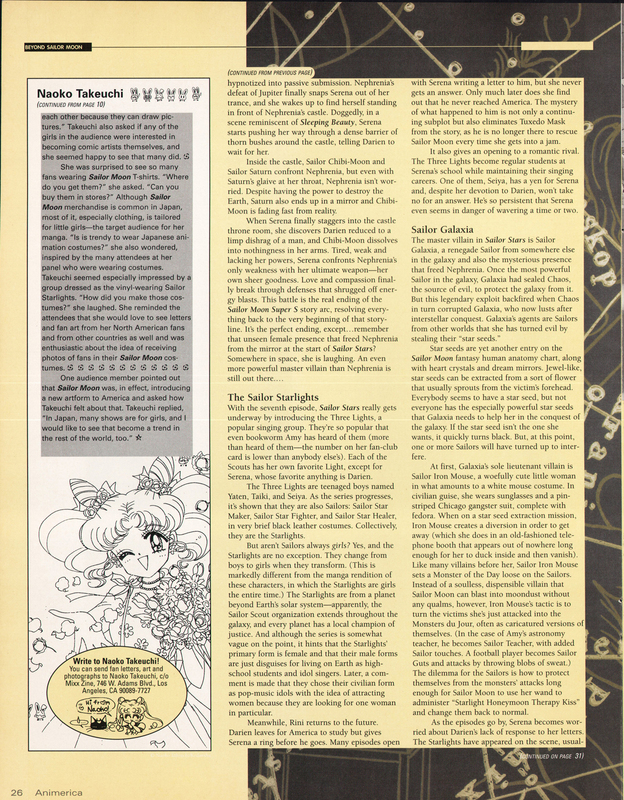 Today we’re going to talk about something a little different: we’re going nearly 20 years into the past to talk about the time that Ms. Takeuchi addressed American Sailor Moon fans and answered some of our burning questions. It’s gonna get interesting, so stick around! Despite the fact that anime and manga have been popular in the west for about 20 or so years now, it’s actually pretty rare for Japanese anime directors or manga artists to interact directly with their western fans — and Ms. Takeuchi is no exception. 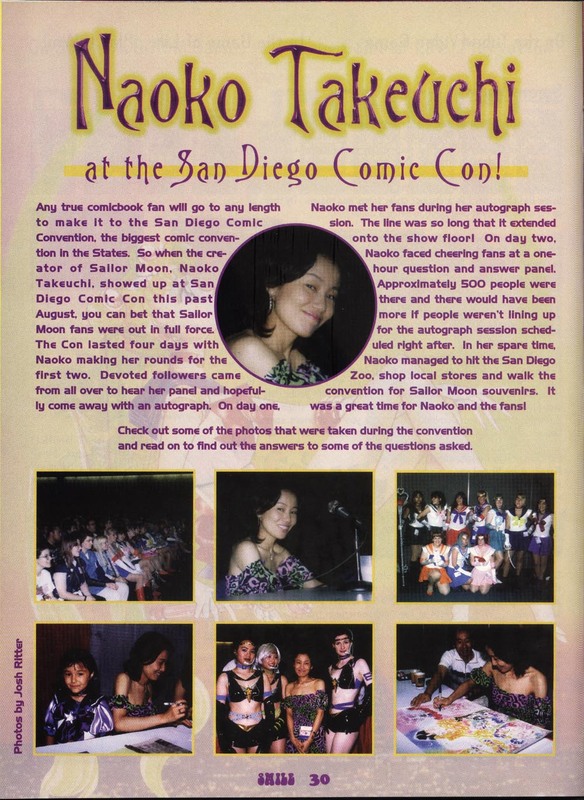 Whether this is due to cultural values and not wanting to stand in the spotlight, or simply a matter of language woes, is probably an issue hotly debated among Japanese History majors, but it doesn’t change the fact that the only time that North American fans have been able to directly interact with Ms. Takeuchi without leaving the continent was back during the 1998 San Diego Comic-Con. But what interests me most about this event isn’t the nationality of the fans, no. It’s that it’s one of the few times where adult fans were able to ask Ms. Takeuchi questions directly, and her answers are particularly enlightening. Though this is long before the days when these types of events were streamed, or even recorded, luckily for us this event was covered by at least two magazines of the day: Animerica 1 and Smile.2 There are some discrepancies in coverage of the event from what we see in these magazines and from fan site reports written at the time,3 but that’s to be expected if no audio recordings were made. For the sake of consistency, I’ll be referring to Animerica‘s coverage. Read also: Happy Birthday Haruka Tenoh! Enough of me talking, let’s take a look at some of the mysteries solved by the creator herself! Though this isn’t exactly a “hotly debated” topic among fans anymore, at one time it was. Especially in the days before many of the North American fans were even aware of much of the Sailor Moon series outside of what scraps of information could be found online. Back then, it was entirely possible new Sailor Soldiers could show up at any time. 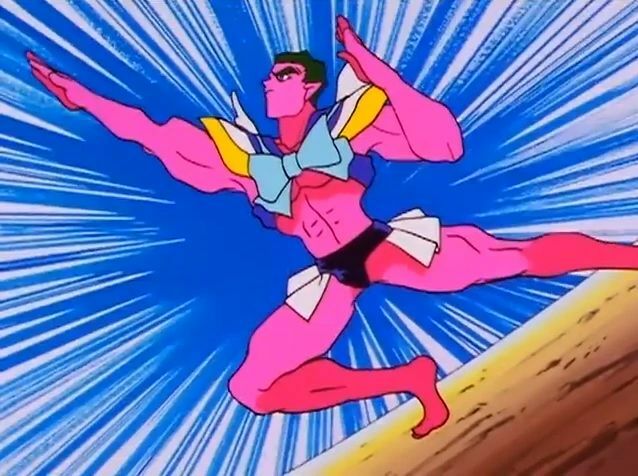 Takeuchi explained that in her manga, the Starlights were women, but in the Sailor Moon Sailor Stars video series, their gender was made to change from male when they are in their civilian entities to female as the Starlights. Apparently Takeuchi hadn’t been terribly pleased with this decision, the reason for which became clear in answers to questions about Sailor Uranus, whose relationship with fellow Sailor Neptune had always been a matter of conjecture. 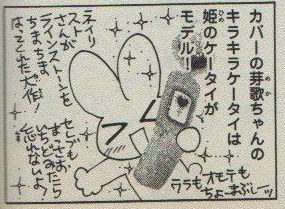 There are some interesting debates nowadays surrounding Haruka’s gender in the manga and in Sailor Moon Crystal, but at least in 1998 this was Naoko’s firm stance on the issue. Of course, one could always make arguments for or against the matter under the “Death of the Author” theory on literary interpretation,4 but such analyses are for greater minds than myself. She also confirmed that the pair were indeed intended to be seen as lovers. “Uranus has the heart of a man, while Neptune is more girlish,” she said. What’s most significant about this question to me is that while we all look at the relationship between Haruka and Michiru as obviously romantic nowadays, as far as I can tell neither Ms. Takeuchi nor the anime producers have ever officially commented on their relationship in Japanese media. It’s just something that everyone knows, but no one actually says out loud. 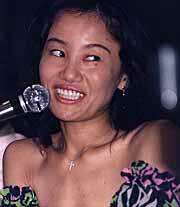 Except, you know, Naoko did back in 1998. In San Diego. And that brings us to the end of this Sailor Moon retrospective. If you’re interested in reading the full reports for yourself, I’ve uploaded the coverage by Animerica (p. 10 and p. 26) and Smile (p. 30 and p. 31) here for your reference. Read also: What Is Considered Canon In the Sailor Moon Universe? 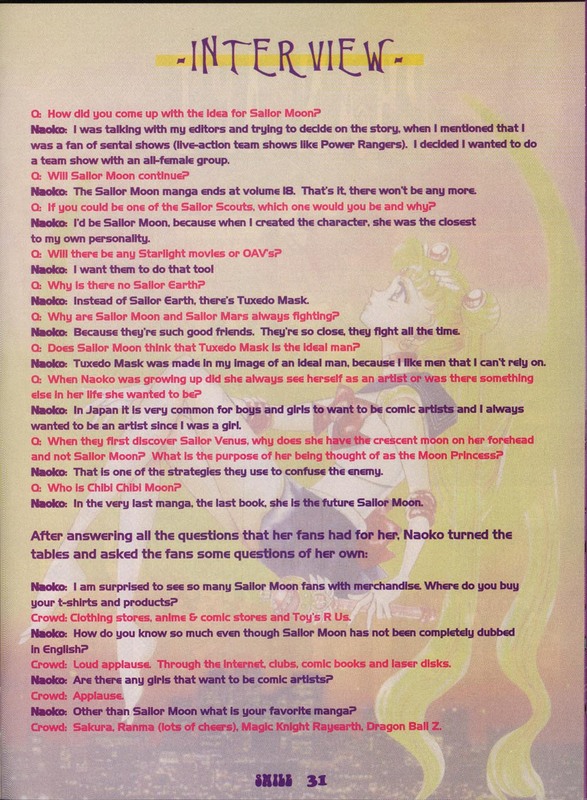 Now, of course, as the author of a blog that specializes in answering Sailor Moon questions, I have to ask: if you had a chance to ask Ms. Takeuchi any question, what would ask her? It’d be tough for me to narrow it down to just one, but I’d probably ask about how the Silver Millennium worked. I just want to know!! ← Is Sailor Mars Left-Handed? Ooo thank you so much for uploading the sources!! And… it’s “I like men I CAN rely on” …I would think? In both sources, she explicitly says she likes men she CAN’T rely on. ^^ Kinda funny, but fits in well with the “girls, be strong!” image of Sailor Moon and how pointless men are to the series. I wanted to ask the same question. It’s a bit strange but it could be a problem of translation. She could have meant just men who don’t overpower women in their need to protect their female partner and do everything for them. I really want to know what happens to the adult sailors. Even with the Silver Cristal they get older and grannies one day and die. Will they have kids like Chibiusa by Usagi, who become somehow the next generation? What happens if they don’t have any offspring like probably Haruka and Michiru? Or is it some kind of Dalai Lama thing that the moment Granny Mercury died, her soul will be reused in some other kids similar to the rebirth after the end of silver millennium? But that would mean no protection for Crystal Tokyo and Serenity I. or II till Baby Mercury and Co. turn teenagers. And even if the next generation appears that way, I’d like to know if the sailors ever got a family. I could imagine manga Rei may pass but all incarnations of Makoto seem to dream of becoming a wife. 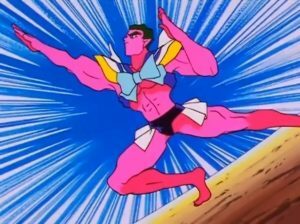 Naoko has mentioned elsewhere that she didn’t want the male cast to “overpower” the female cast in Sailor Moon, so she made them kinda useless. And by “them,” I basically mean Mamoru. You’ll also note that the male characters in the series are rarely ever developed. This is just a guess, but I imagine what she means to say is that she likes guys who are kind of aloof and not the “I’ll handle this!” type, which gives her (and other young ladies) a chance to shine. If she used that phrase, I find it even stranger. I’ve only ever heard it as something negative as it describes the kind of men who never do what you asked them to do. I’m no big fan of 90ies anime Mamoru, but it would be an insult to describe even him as tayori no nai. Honestly, this is pretty in line with Naoko’s other statements. She herself admits that she doesn’t have a strong emotional attachment to her own male characters. Isn’t Mamoru also supposed to be Naoko’s “perfect man” too, though?? I don’t understand how he’s her image of a perfect man and also someone she can’t rely on that she has no emotional attachment to. This seems to conflict with other things I’ve heard her say about him. Not sure how much you’ve heard about her husband, fellow manga artist Yoshihiro Togashi, but he’s not exactly described as the most “put together” guy. He freely admits he’s pretty much a slob and jokes about playing video games all day. It’s definitely weird, yeah. But we have two printed sources quoting her as saying the same thing, so I’m inclined to believe it. Actually I think it does fit with her humorously complicated relationship with Mamoru. he’s simultaneously a hottie but also kind a hipster and a little silly, an appealing man but also needs protecting. Kind of like otaku who like ‘dojikko’-personality girls. I always took it to mean ‘unreliable’ in a playful way; that he could be kind of a emotional klutz and need protecting (in an affectionate way) which doesn’t seem that mean when you conside how much Naoko obviously loves Usagi. Also, I´d like to get her opinion on Crystal and the old DiC theme song (the lyrics are much more simple!). I think people tend to misunderstand Takeuchi having a prediction towards hapless but well-meaning and loyal men because fandom sees that trait as unmasculine or bad, rather than a sort of ‘moe’ charm she obviously goes for. It’s pretty well reflected in her reoccurring male characters that are ‘silly’ nonetheless having a lot of romantic luck? Mamoru was outwardly classy but emotionally complicated and needy. Umino is a super-awkward nerd, yet has Naru. Asanuma in the manga is a bit of an otaku but gets an acknowledged smooch from Makoto. PGSM’s version of Motoki (arguably a combination of Motoki, Umino, and/or Asanuma) ends up *marrying* Makoto.